Idyllic Campania is home to some of Italy's most beautiful scenery, but there's also a vibrant food scene to be discovered. 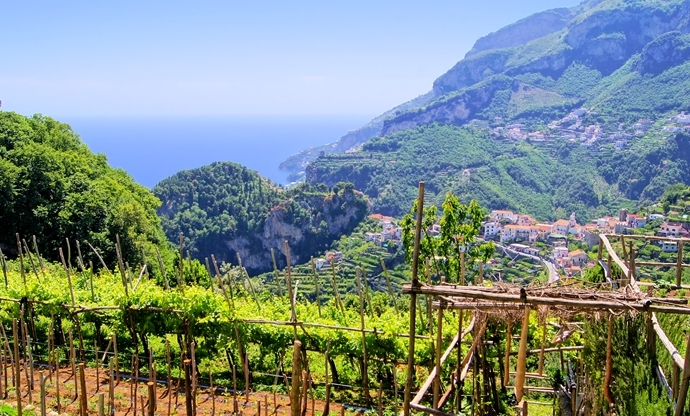 From pizza-loving Naples in the north to fresh fruits, vegetables and cheeses in the countryside and along the stunning Amalfi Coast, discover the cuisine of Campania and why it should be at the top of your must-visit list. Sitting to the south of Rome, Campania has a history that is inextricably tied to the Roman Empire. The province was part of the Roman Republic from as far back as the fourth century BC, and continued to be an important part of the Empire for many centuries – the imposing walls of Naples famously rebuffed Hannibal and his elephants in the Second Punic War, and one only has to visit the ruins of Pompeii to get an idea of what life was like in Campania some two millennia ago. Roman history has had a profound effect on the food eaten across the region too. The Romans always valued Campania for its vast pastureland and nutrient-rich soils, and many practices that continue to exist today started in Roman times. Fishing was a Roman staple too – the ancient towns of Amalfi, Cetara, Positano and Amalfi are famous today as picturesque UNESCO World Heritage Sites, but they started life as Roman fishing villages. Despite the increasing tourism trade, a significant portion of Italians still make a living from fishing along the Amalfi Coast, returning with hauls of seafood ranging from anchovies and sardines to squid and octopus. Seafood, unsurprisingly, makes up the majority of the coastal diet, alongside a bevy of fresh fruit and vegetables – typical Mediterranean fare. As you get inland, there is ample grazing land available for livestock, making meat dishes more common. Although their origins are disputed, Campania is also home to native water buffalo, and has been for many, many centuries. Where there are buffalo, there is buffalo milk, and where there is buffalo milk, there is mozzarella di bufala – one of the great cheeses of the world. Mozzarella, of course, leads us to the birthplace of another of the world's favourite foods – Naples – where the combination of fresh buffalo mozzarella, ripe, sun-kissed tomatoes and fresh bread created the very first pizza margherita over a century ago. The pizza is perhaps the best example of food in Campania – the simple combination of incredible fresh ingredients, where a few things come together to make something very special. Whether you're exploring the jaw-dropping coasts, the busy hectic thrum of Naples or venturing inland, Campania never disappoints. Find out more below about the ingredients, flavours and dishes that make up the cuisine of the region. 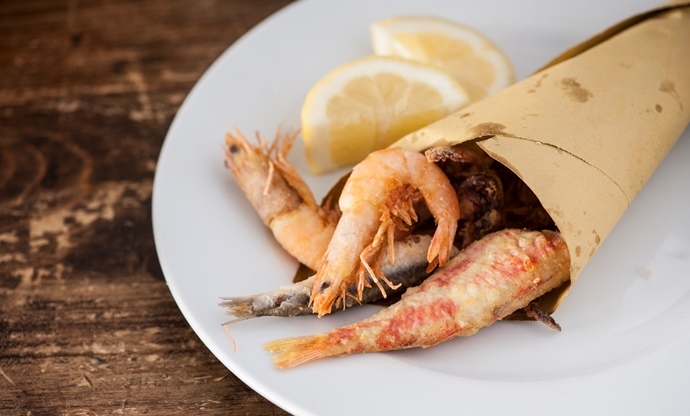 Travel along Campania's coastline and you'll find some of the best fish and seafood in Italy. 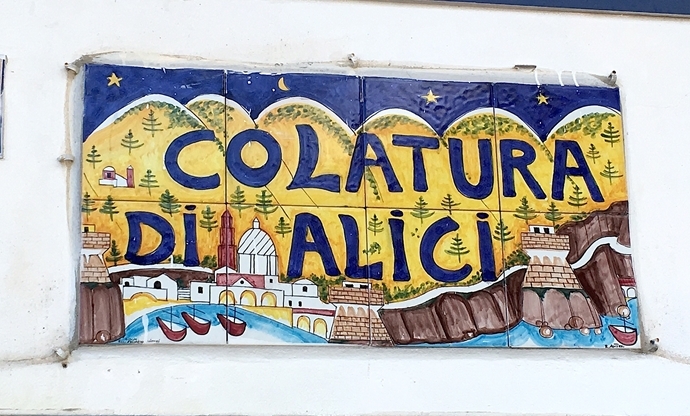 One of the region's most delicious products (and one of its best kept secrets), however, is colatura di alici – the fishy by-product of curing anchovies. This beautiful amber nectar is used with aplomb by locals (particularly in Cetara, where it's produced) to season pizza and pasta sauces, or simply drizzled over all manner of dishes. Buffalo mozzarella started life in Campania over 1,000 years ago, when Capuan monks would make it to feed passing pilgrims and travellers. Today it's one of the world's favourite cheeses, but if you want to taste real, fresh buffalo mozzarella, you simply have to go to the source. Other well-known cheeses from Campania include Scamorza, which is often smoked and easily recognised thanks to its firm, bulbous appearance, and Fiordilatte also originated from the region. Keep an eye out for fresh Stracciata, too – a soft milky cheese that's similar to the centre of a ball of mozzarella. 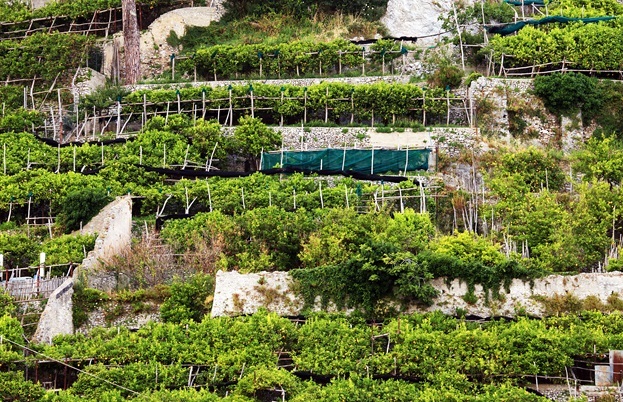 Stroll along the stunning Amalfi Coast and you'll see stepped hillsides covered in lemon groves. 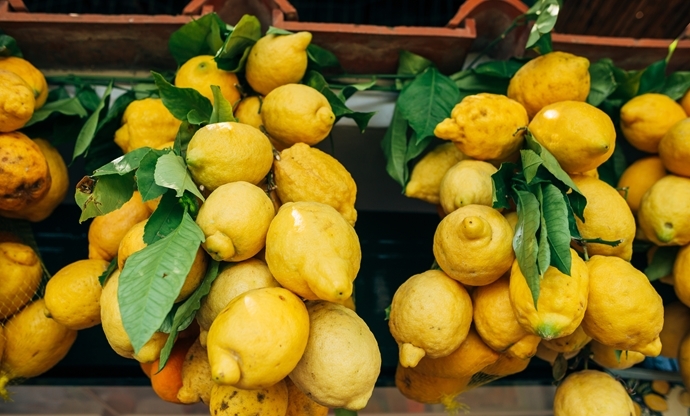 Amalfi lemons – and indeed, their cousins from nearby Sorrento – are renowned for their wonderful flavour and aroma, whether eaten fresh or drunk in limoncello. Both have earned protected status from the EU thanks to their unique characteristics, and they're one of the most iconic images of Campania's coastline. You simply can't talk about Campania without mentioning pizza – arguably Italy's greatest gift to mankind. 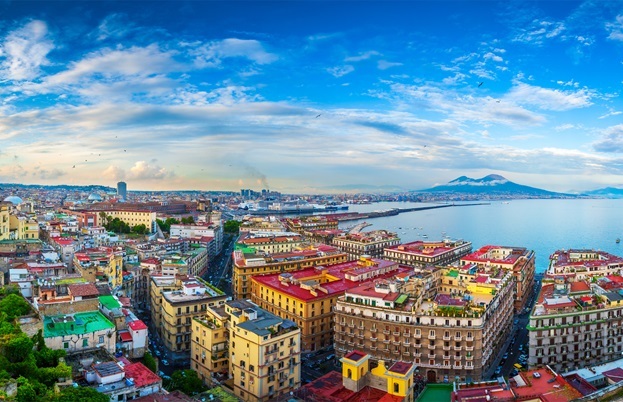 If you're planning a trip to Naples, you're likely heading there for the pizza – the city itself is actually a UNESCO World Heritage site, protected as the birthplace of what is considered one of the world's most culturally important foods. Check out Luciana Squadrilli's fantastic deep-dive on the history of Neapolitan pizza and what makes it so special. You may have visited Naples for the pizza, but why not stay for the coffee? The city has a vibrant, thriving coffee scene that dates back to the 1700s. Neapolitan baristas are true coffee experts, grinding beans differently depending on changes to the daily temperature and humidity, whilst customers maintain an old culture of buying espressos for the poor and homeless of the city. 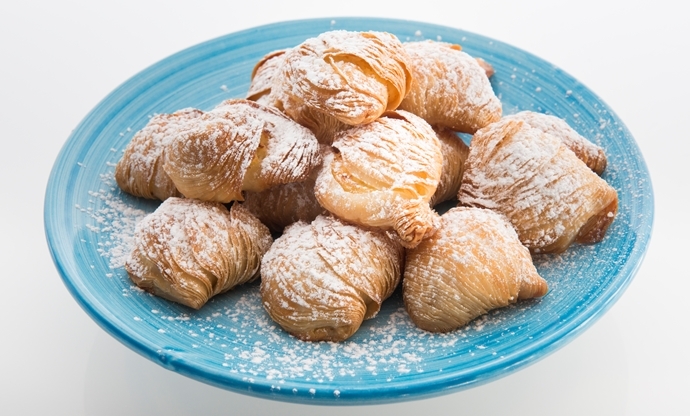 Babà, struffoli, sfogliatelle – just a few of the sweets and pastries that have come to represent the sweet-toothed of Campania. The local bakeries are filled with a huge variety of treats whose origins often have a legend or story behind them. Making the most of Campania's fantastic citrus fruits and dairy products, they're some of the best in all of Italy. Campanese wines are nowhere near as famous as those from places like Piedmont and Tuscany, but the local climate is actually perfect for growing certain varieties of grapes. In particular, Aglianico red wines and those made from vines grown in the foothills of Vesuvius are certainly worth seeking out. With the countless pizza toppings offered in pizzerias all over the world, the fact that the margherita – a simple combination of tomato sauce, fresh basil and cheese – still reigns supreme is testament to the pizza chefs of Naples. 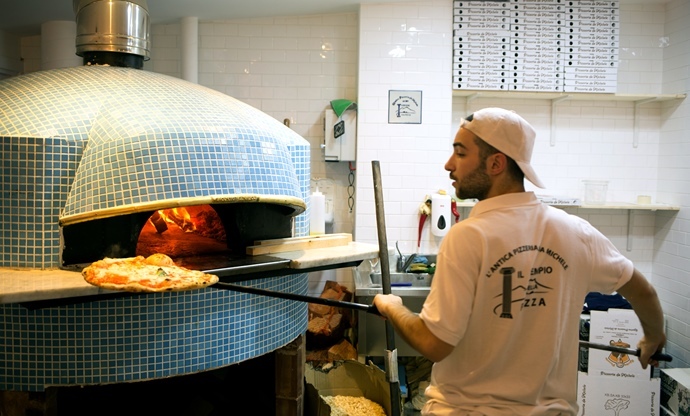 From his pizzeria in Caiazzo Franco Pepe creates some of the best pizzas in the world. 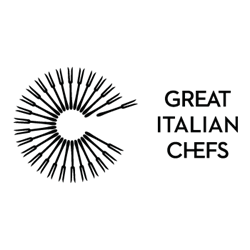 His margherita – though not entirely traditional – is iconic, bringing together all the recognisable flavours of a classic margherita in a new form. Check out his recipe here, or go for something more traditional. Spaghetti is a favourite pasta shape along the Campanese coast – it's perfect for swirling around in all those light seafood sauces. 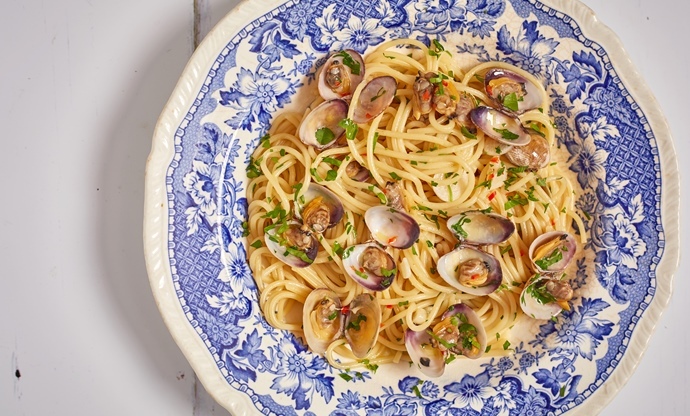 Spaghetti alle vongole is one of the most famous dishes, making the most of the lovely juicy clams caught in the Tyrrhenin Sea, and there's nowhere better to eat it than Campania. 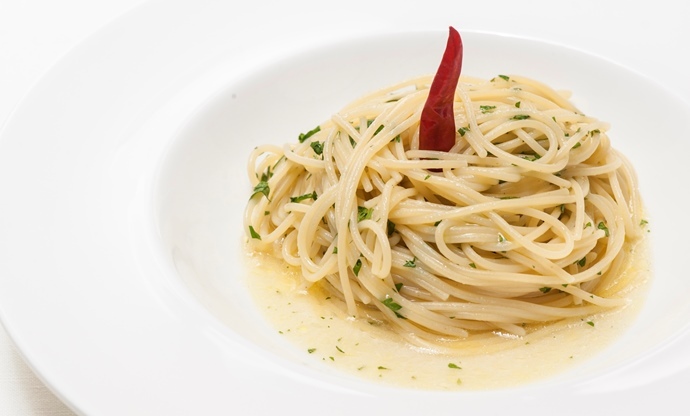 If there's one thing you should eat whilst you're in Campania, it's spaghetti with colatura di alici – the incredible semi-fermented anchovy liquid from Cetara. The simple combination of colatura, olive oil, garlic, parsley and chilli is unbeatable and truly captures the essence of the area. 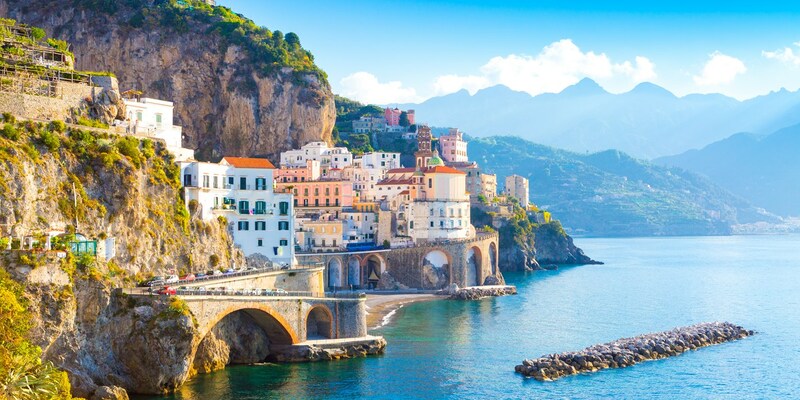 There's nowhere better to eat seafood in Italy than along the Amalfi Coast, and squeezing lemon over a bowl of fritto misto whilst sitting on a sun-lounger overlooking the Gulf of Naples is a bucket list experience. The fresher your seafood, the better your fritto misto will taste, but there are a few other tricks to getting a really crispy finish. Check out Pasquale Torrente's recipe to see how to recreate this dish at home. 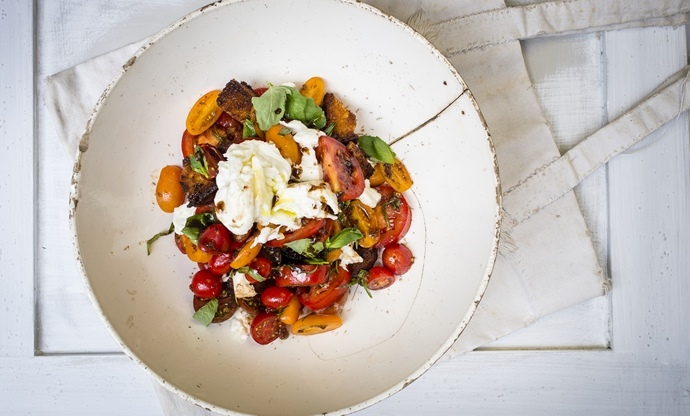 Mozzarella di bufala, tomato and fresh basil – that's all you need to put one of the world's great salads on the table. The key, of course, is having the absolute best ingredients you can buy, but there are other ways to elevate it too, as shown in this recipe. Hailing from the seriously luxe island of Capri, every bite of this salad offers a true taste of La Dolce Vita. Octopus is a favourite in Campania, with boatloads of the cephalopods caught off its coast every day. 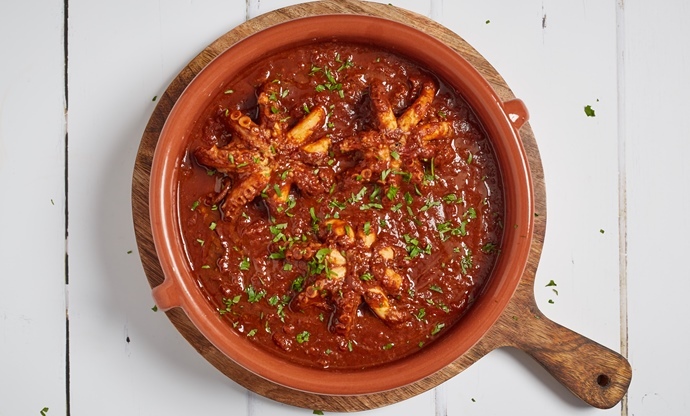 This traditional Campanese dish shows how simple it is to prepare, searing baby octopi in garlic-infused olive oil before braising them in a chilli-flecked tomato sauce until meltingly soft and tender. 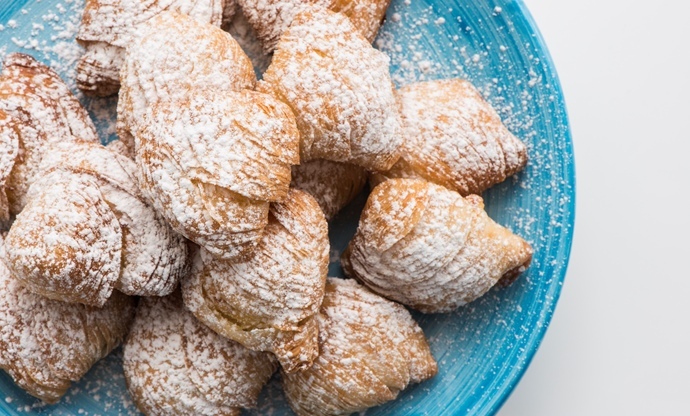 These crispy, many-layered 'lobster tails' are a hugely popular delicacy in Campania – the region where they were first created – and come with a delightful semolina and ricotta filling. It takes a delicate touch and a bit of practice to get these right – which is why they're regarded as an artisan speciality in Italy – but Salvatore Elefante's recipe is a great starting point if you want to try making them at home. 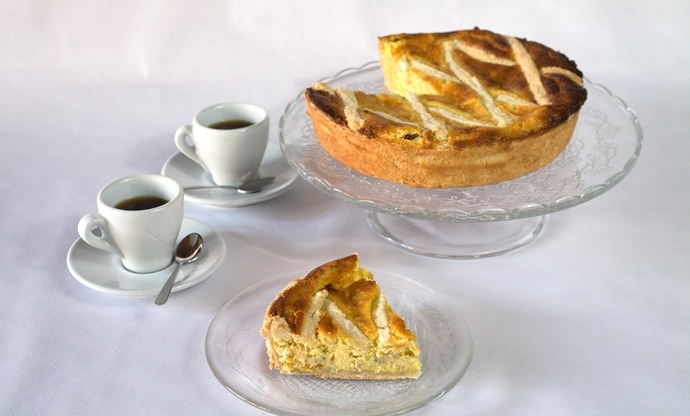 A popular cake to create during Easter all over Italy, pastiera evokes all the typical aromas of Campania with candied peel and orange flower water. There's no reason why you can't eat it year-round though – it makes a great breakfast or snack with afternoon tea. 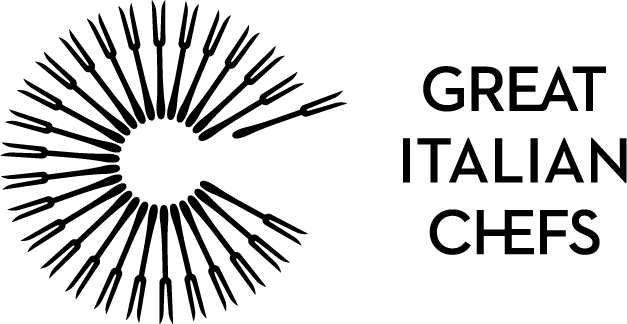 What makes it unique is the inclusion of grano cotto, a type of pre-cooked wheat grain available throughout Italy (although some cooks substitute this with risotto rice for a similar finish). We have much to thank Campania for when it comes to food. Not only did it give us pizza, mozzarella and colatura, it also gave us cannelloni! These large tubular pasta shapes originally hail from the famous seaside town of Sorrento, and are most commonly served with the iconic combination of tomato, basil and mozzarella. 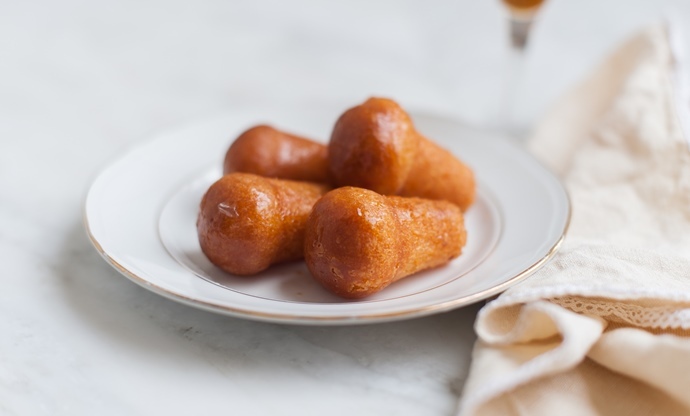 Rum babà arrived in Campania courtesy of travelling French chefs and pâtissières, but the region has made this dessert its own over the years. A feather-light sponge soaked in a citrus and rum syrup before being glazed in apricot jam. Check out Valeria Necchio's fantastic recipe if you fancy making your own. 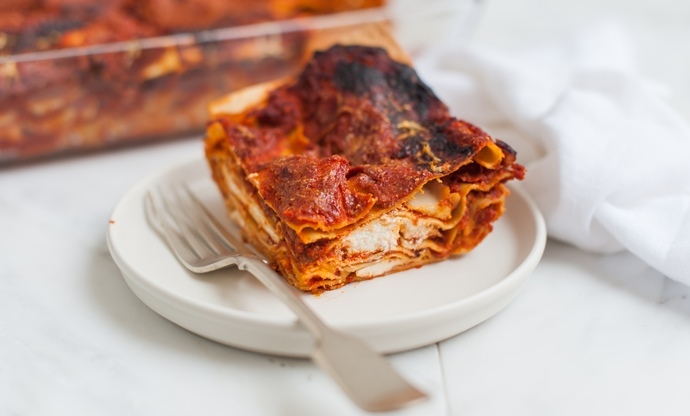 Lasagne was traditionally served in Naples to celebrate the city's carnival, but these days it's a common sight all across Italy (and the world). One-upping the traditional lasagne most of us are familiar with, the Neapolitan version contains rich ricotta, a silky ragù, tiny little meatballs and hard-boiled eggs. A celebratory dish of epic proportions. The origins of the name are unclear, but this dish actually has little to do with Genoa (a city in Liguria) or the pasta dish of pesto, potatoes and green beans which bears the same name. 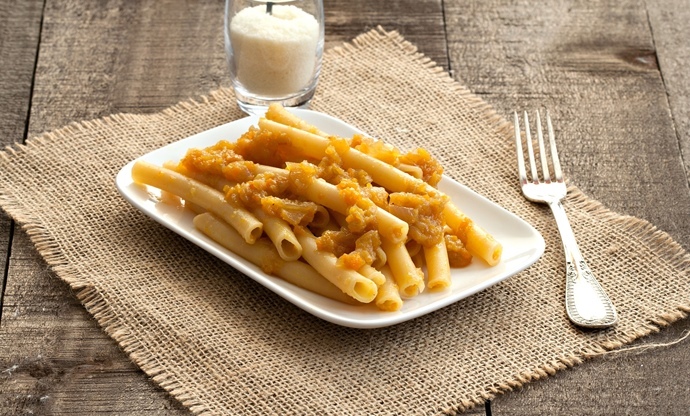 It actually comes from the heart of Naples, and sees thick tubes of ziti pasta served in a ragù made from braising onions and beef together for hours. 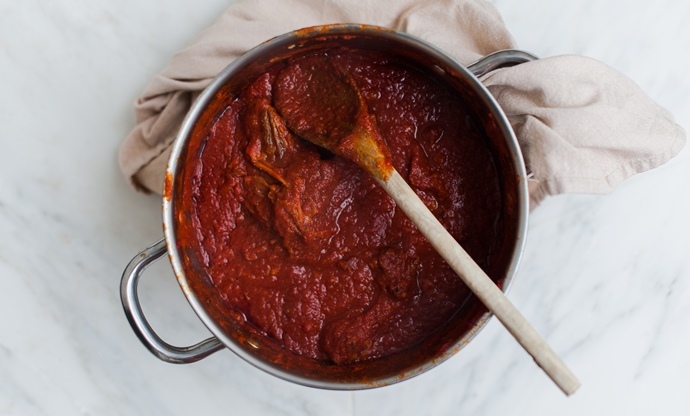 This incredible dish of meat slow-cooked in a rich tomato sauce contains two courses – a primi, in which the sauce is used to dress pasta, and then a main where the cuts of beef are lifted out of the pan and sliced. It's a labour of love to produce, requiring hours of slow-cooking to achieve, but it's one of Naples' most beloved dishes and perfect for a family get-together. 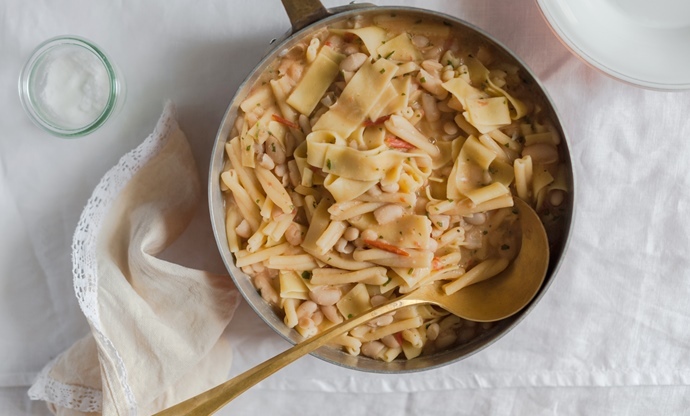 Pasta and beans might not sound like the most exciting combination, but the Italians are experts at making humble ingredients sing. With the addition of pancetta, tomatoes and garlic, this is a hearty dish that satisfies the senses.